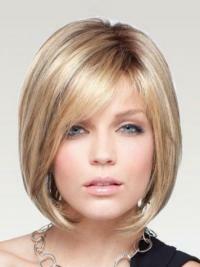 Medium length wigs fall right to the shoulders and a bit below creating lovely looks with lots of movement. 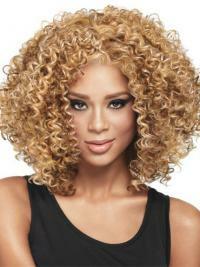 Medium length wigs don't have all of the weight of a long wig, but provide more coverage than shorter wigs. Beautiful medium wigs for women with hair lengths ranging from slightly above shoulder length to slightly below the shoulders in all hair styles …straight, wave to curly. Medium length wigs are offered in both synthetic and human hair fiber, these style looks so natural people will think it’s your own hair. Whether you're looking for straight, wavy, or curly looks, we are sure that you will find the right medium wig that make you a great hair day at vivhair.co.uk.